In March 1916, the village of Columbus, New Mexico, was attacked by the troops of Mexican revolutionary Pancho Villa. Ten townspeople and eight soldiers were killed. President Woodrow Wilson ordered the notorious General John Pershing to pursue the revolutionists into Mexico and capture Pancho Villa. 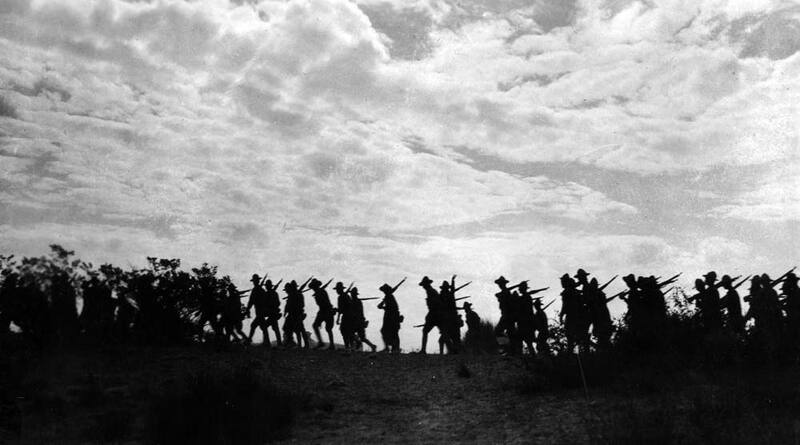 Pershing led 10,000 men in the U.S. Army Punitive Expedition—now known as the Mexican Expedition, and commmonly as the Pancho Villa Expedition—over 350 miles in pursuit of the Villistas. The expedition defeated Villa’s troops, but failed to capture the man himself. Image Source: "The U.S. Infantry in Mexico in pursuit of the Villistas" (PA1977.65.166); digital images, "Albuquerque Museum Photo Archives," The Albuquerque Museum, Cultural Services Department, City of Albuquerque, New Mexico Digital Collections (http://econtent.unm.edu/cdm/singleitem/collection/abqmuseum/id/243/rec/6); crediting "Otis Aultman Studio."